ABC Fire Equipment offers a full range of fire equipment and services to all of Fort Myers, FL. For clients big and small, we offer and service a wide variety of fire equipment and systems. 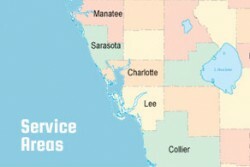 If you are located in Fort Myers, we would be happy to assist you with any of your fire equipment needs. We offer service to customers large and small. To see how we can help your Fort Myers fire equipment needs, please contact us to get more information about what ABC Fire Equipment can do to meet your fire system needs. © 2019 Copyright ABC Fire SWFL. All rights reserved.